Jessica Springsteen (USA) and RMF Tinkerbell won the opening speed class on the final day of competition at the Longines Global Champions Tour of Chantilly. Springsteen blazed ahead of the international field, pipping French rider Edward Levy (FRA) to the win, with Egyptian rider Abdel Saïd (EGY) taking third. Early to go clear, Abdel Saïd (EGY) with Hope van Scherpen Donder paved the way with a strong time to beat of 62.59s, throwing down the gauntlet to the rest of the field. But Jessica Springsteen (USA) soon bettered his time, flying around the arena with RMF Tinkerbell, to finish a second ahead in 61.18s. The pressure was on, and many tried - and failed - to match Springsteen’s time. Harrie Smolders (NED) put in a strong clear with speed horse Zinius, but took his foot off the gas to finish in 64.83s, saving his horse for the bigger class of the day. Jérôme Guery (BEL) with Hercules by Immofluisteraar, Leopold van Asten (NED) with VDL Groep Elexia, Cedric Angot (FRA) with Talent des Moitiers, Christian Ahlmann (GER) with Take A Chance on me Z and René Lopez (COL) with Histoire D O collecting a single time fault. Edward Levy (FRA) was hoping for a second French win of the weekend, but it wasn’t to be, Levy piloting Rafale d’Hyverniere to second in 61.92s. 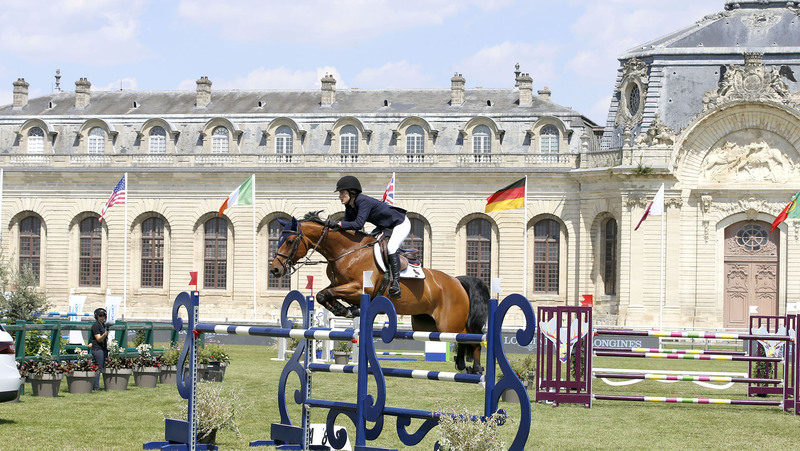 So it would be another win for Jessica Springsteen (USA) in Chantilly, a venue she knows and loves well. The final class of the day, the 1.55m jump-off class, kicks off at 14:15 local time. Tune in via GC TV or on the official LGCT Facebook page.